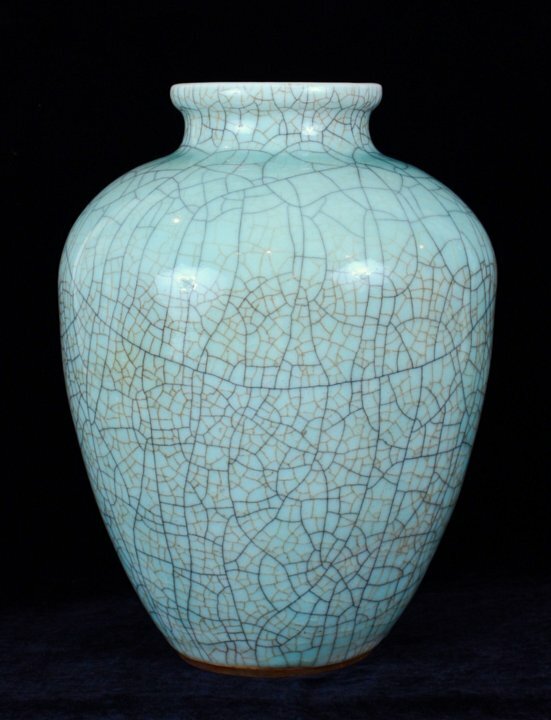 Large Chinese vase covered with a soft pale blue-green crackled glaze imitating guan ware. This rare form of decoration consisting of fine dark grey and gold crackles is called jinsi tiexian (“gold thread and iron wire”.) The unctuous glaze stops neatly at the foot; the foot and base are covered with a brown wash.